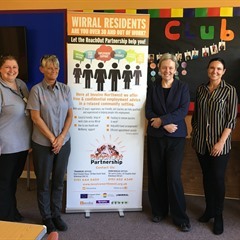 Margaret Greenwood, MP for Wirral West, has marked this year’s UK Employability Day by visiting Involve Northwest’s ReachOut Project at Woodchurch Methodist Church. 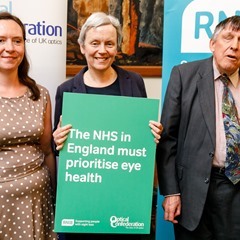 Margaret Greenwood, MP for Wirral West, has attended the parliamentary reception of the All-Party Parliamentary Group (APPG) on Eye Health and Visual Impairment and met with The Royal National Institute of Blind People (RNIB). 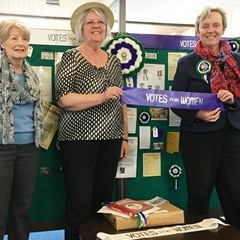 A display marking the centenary of the Representation of the People Act 1918 and the role played by the suffragettes and suffragists in their campaign to gain votes for women has received praise from a local MP. 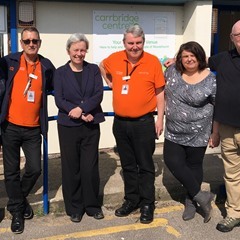 Residents from Woodchurch and across Wirral are being urged to pop down to the Carrbridge Community Centre this Easter holidays. 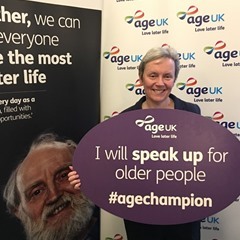 Margaret Greenwood MP has drawn attention to the problem of loneliness for older people in Wirral after meeting with representatives of Age UK in Parliament.